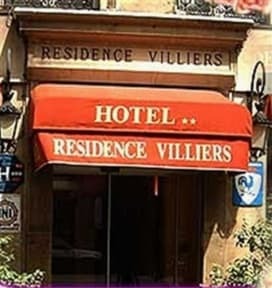 Welcome to Hotel Residence Villiers, located in a residential district of Paris, near Charles de Gaulle Etoile Square, Champs Elysees and Monceau Garden. Discover a splendid panoramic view from the Eiffel Tower or visit the Louvre Museum, Monceau Gardens and the Palais des Congres. Villiers Hotel Residence offers elegant accommodation and modern facilities to make your stay in Paris a pleasant one. Guests can begin their day with a delicious buffet breakfast served in the warm and pleasant atmosphere of the breakfast room. You can later unwind with a refreshing drink at the cocktail bar after a tiring day. Villiers Hotel Residence Paris offers 30 guestrooms, equipped with modern facilities offering a pleasant atmosphere for a pleasing stay. Attentive room service is also available for your convenience. 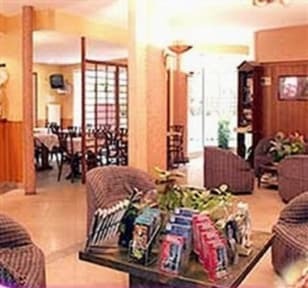 Furthermore friendly, helpful and well prepared staff is willing to help you with anything you might need in order to make your stay at this hotel as pleasant as possible. Staff was super helpful and friendly. It is directly across the street from the metro and a few good food stops. It's everything a true traveller needs: clean room, bed, bathroom, mini fridge, and breakfast. No A/C. HOWEVER, the window/balcony, depending on your room, is plenty large enough and provides good ventilation in the evening's cool air. Let's face it, you're not going to Paris to sit in a hotel all day, so in the heat of the day, you'll be gone amd at night,open window=cool room.